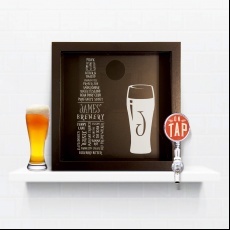 Do you know someone with amazing superpowers, like the ability to make beer disappear? 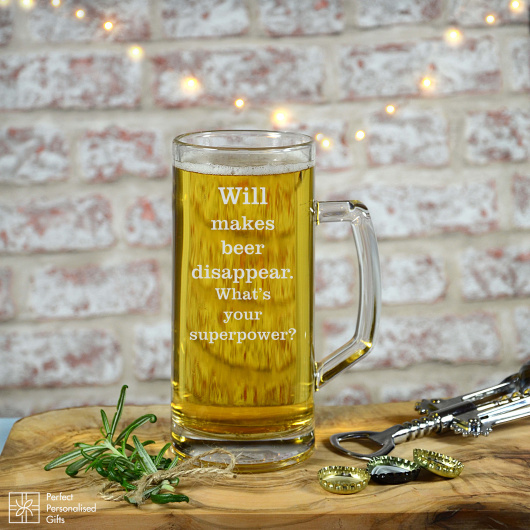 This quirky and fun Superpower Beer Tankard is the perfect gift for anyone who loves to chill out with a nice cold pint! 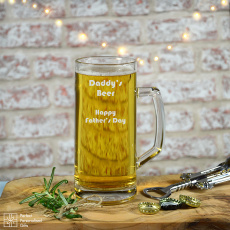 Personalised this wonderful tankard with any name to make this great present one of a kind. 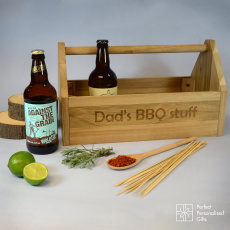 The perfect gift for Birthdays, Christmas, or just because they deserve it! Make them think of you every time they enjoy their favourite drink.